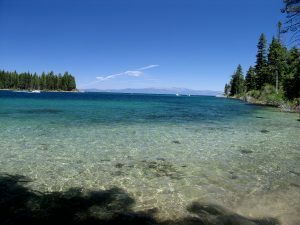 Burton Creek State Park is over 1,800 acres and is Tahoe’s second largest state park. There are over 12 miles of fire roads for either hiking or biking. 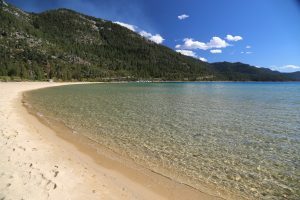 This park is open for day use only and is located on Highway 28 just three miles north of Tahoe City. For more information call Phone (916) 525-7982. D.L. 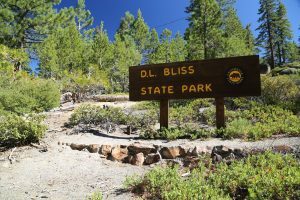 Bliss State Park is located 8 miles south of Tahoma on Highway 89. 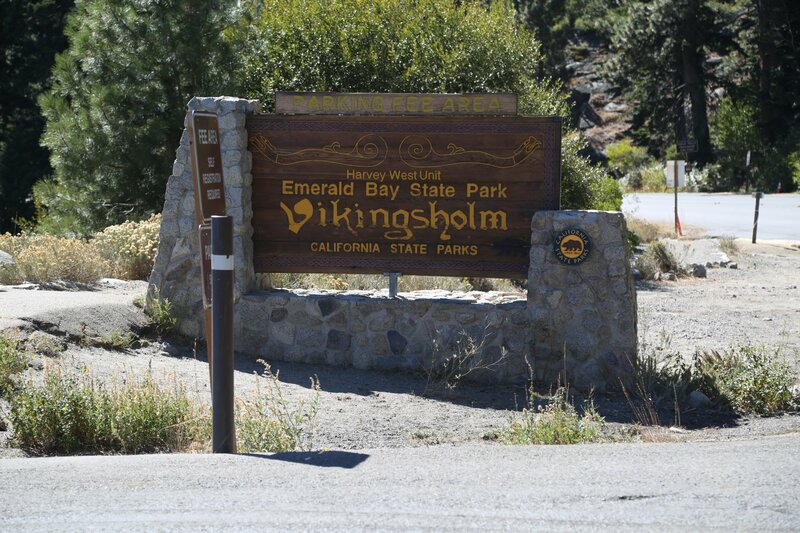 This is a 1200 acre park with 5 miles of hiking trails and 168 camping sites. 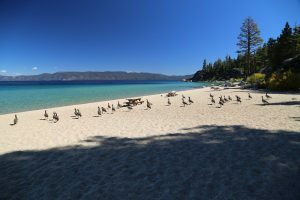 The beaches here are among some of Tahoe’s finest. 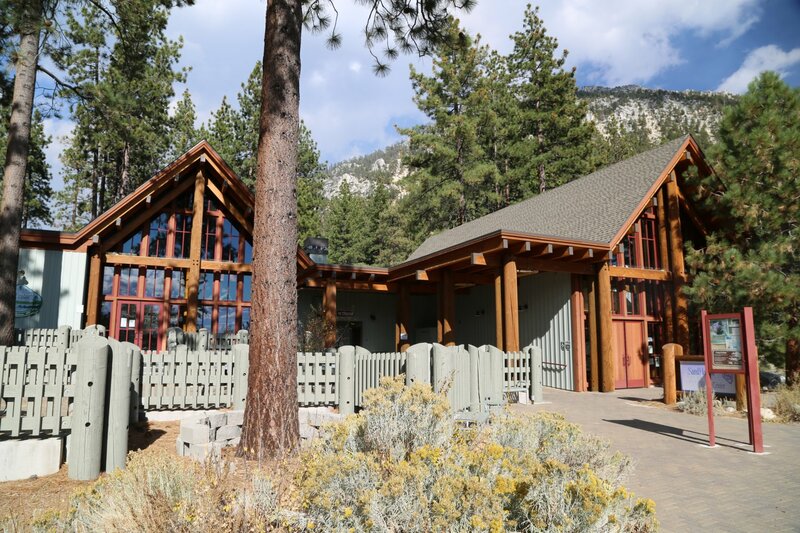 A new visitor center opened recently and is open in the summer from 10:00am until 5:00pm. The Rubicon hike is a must do when visiting DL Bliss. 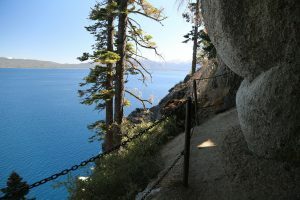 The trail wanders along a steep hill above one of the deepest areas of The Lake. 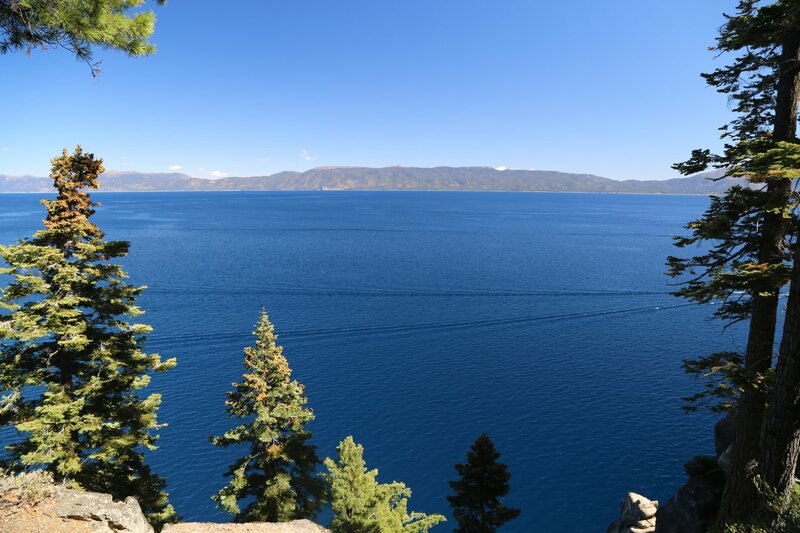 The shoreline drops from view and plummets over 1300 feet to the bottom of The Lake. 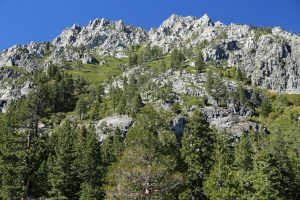 This hike provides great views and scenery of the Sierras. Be sure to include all dates, the number of people in your group, and the trailheads that you plan to use. 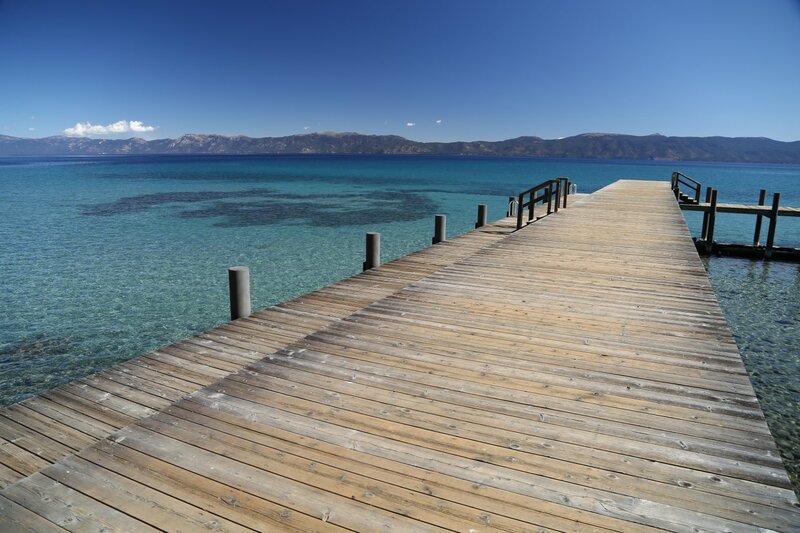 Telephone reservations are available from June 15 through Labor Day. For more information call Phone (916) 573-2600. Visit: www.fs.fed.us/r5/ltbmu/recreation/wilderness/desowild for more info. Donner Memorial State Park consists of 350 acres and has sandy beaches, picnic areas, and three miles of hiking and cross country skiing trails. 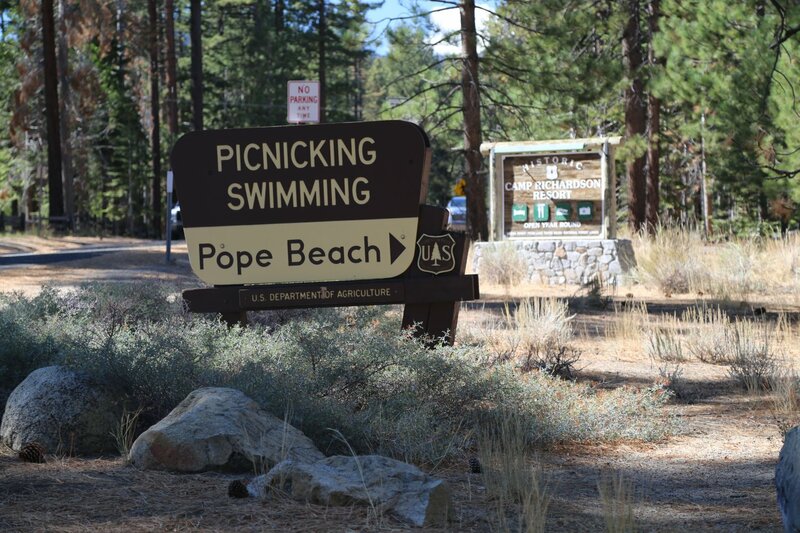 The campground has 154 campsites and is open Memorial Day through Labor Day. 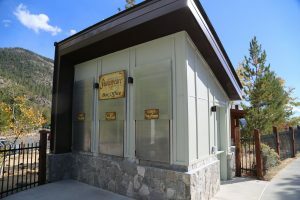 The Emigrant Trail Museum honors the Donner Party and those who crossed Donner Pass. 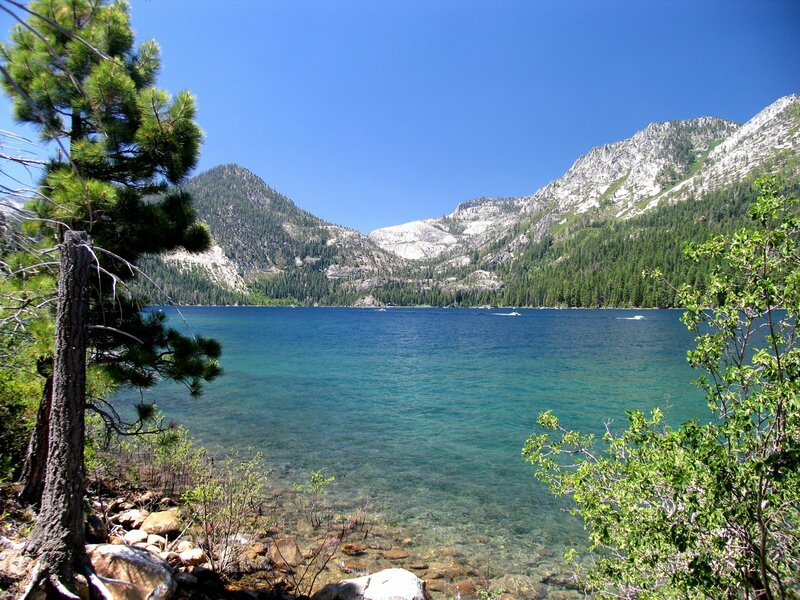 The Donner Party was a group of 89 people trying to hike across the Sierras late in the season. 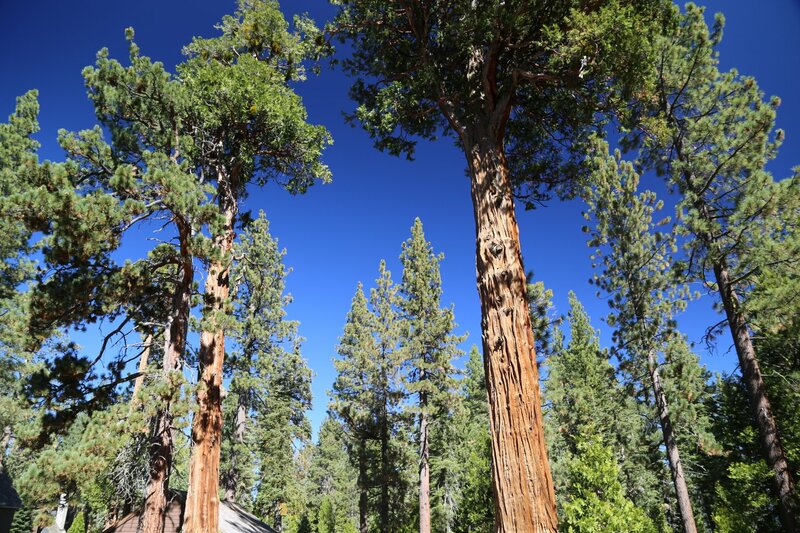 They became trapped in the Sierras by an early winter and had to resort to cannibalism to survive. Only 47 out of the original 89 were rescued. One year after the Donner Party became trapped in the snow, people visited the sight where they had to wait the winter. They discovered stumps of trees about 15 to 20 feet high. 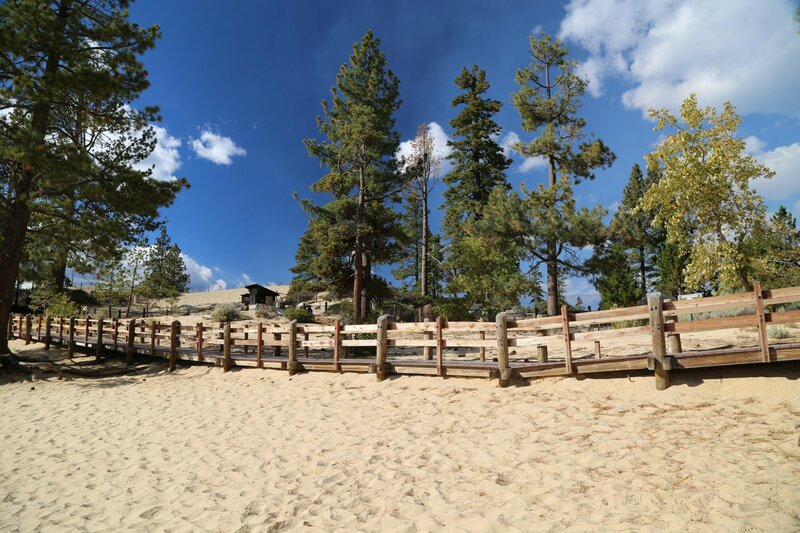 That 15 to 20 feet was the depth of the snow when the Donner Party was there. 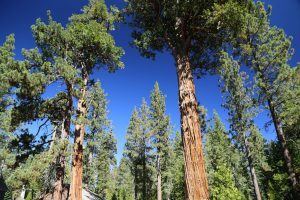 They had cut down the trees for fuel and for lodging. Those who visited the site one year later also found the grisly remains of various members of the party. The museum also celebrates Native American history and culture and is open year round. 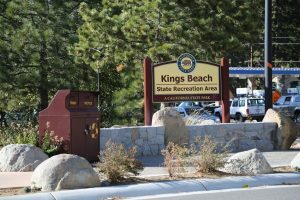 The park is located just off the great I-80 on Donner Pass Road. The day use entrance fee is $10 and entrance to the museum is $2. For more information call Phone (916) 582-7892. 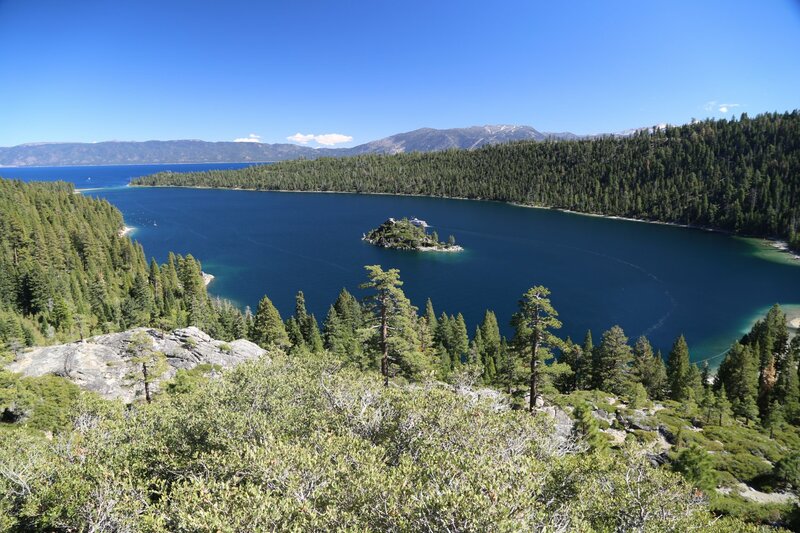 Emerald Bay – The view of Tahoe in the distance from Emerald Bay is truly breath taking. 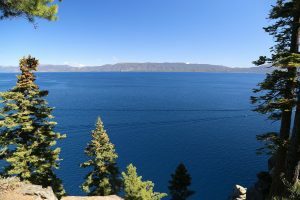 That Highway 89 continues to be passable through this part of the Lake is a miracle. Several times it has been completely washed away by giant mud and debris slides. 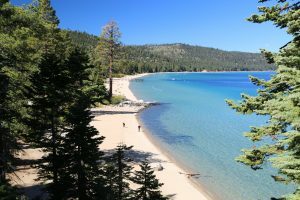 The scars of these slides are visible from many many feet above the road all the way to the shoreline of Emerald Bay. Only now are some small shrubs and trees starting to come back. Their growth will help ensure some soil stability. The snow fall in this area closes the road at various times throughout the winter. 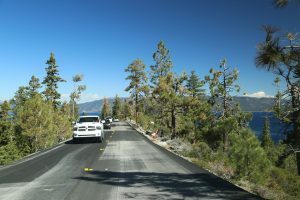 During the summer months there is always major road repair underway. Sometimes there can be delays as only one lane of traffic may be open. This part of Highway 89 is one of the most incredible driving experiences that you can have anywhere. At one point you are driving along a high ridge with Lake Tahoe and Emerald Bay on your left, and Fallen Leaf Lake on your right. There is a sheer cliff on either side of the road. In order to get down from that ridge the road switches back and forth, and you pass next to a few 10mph signs. When you drive through the “devastation” area, the area that was destroyed by the giant avalanche of a few years ago, you look up and see giant rocks appearing as if they will fall at any minute. 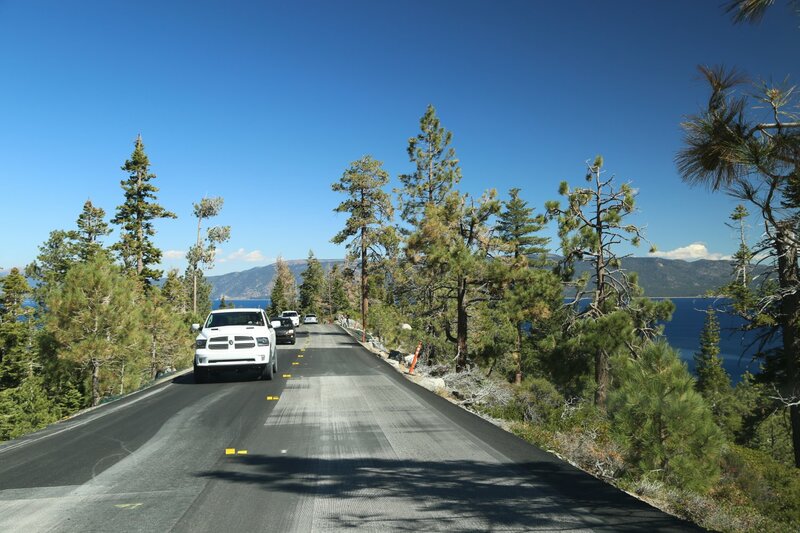 There are parking lots on both sides of the road at the Emerald Bay turnoff. The parking lot on The Lake side of the road can be quite crowded but if you are patient you will find parking as people often leave. 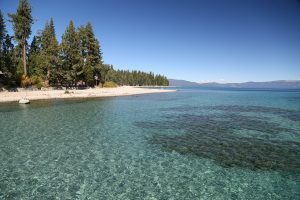 It is a fee parking lot – although if you have your entrance receipt from DL Bliss or other state parks, you can use that year (just keep it taped on the inside of your windshield). 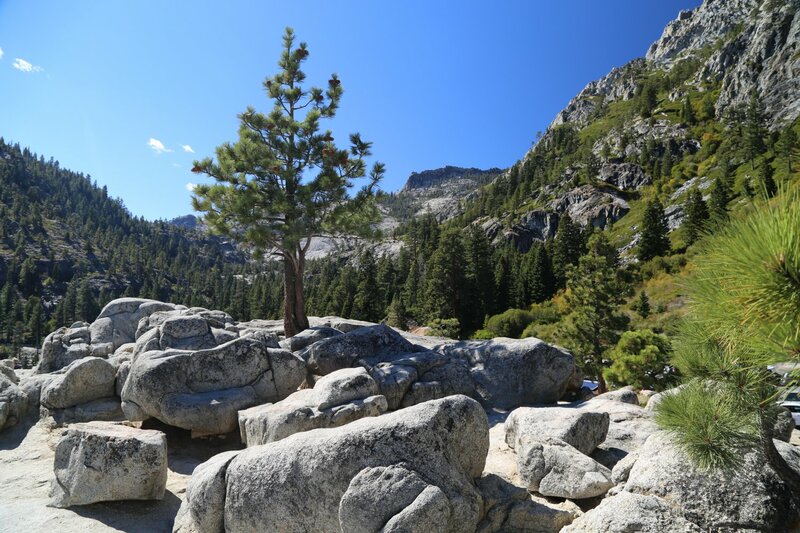 We enjoy walking around on the large granite outcrops just above the parking lot. 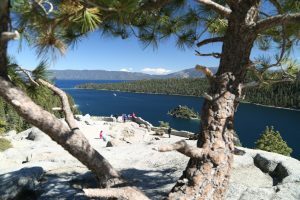 From these rocks you have awesome views of Emerald Bay, Fannette Island (we call it Fanny Island) in the bay and the small castle on the island, and then of course Lake Tahoe in the near distance. 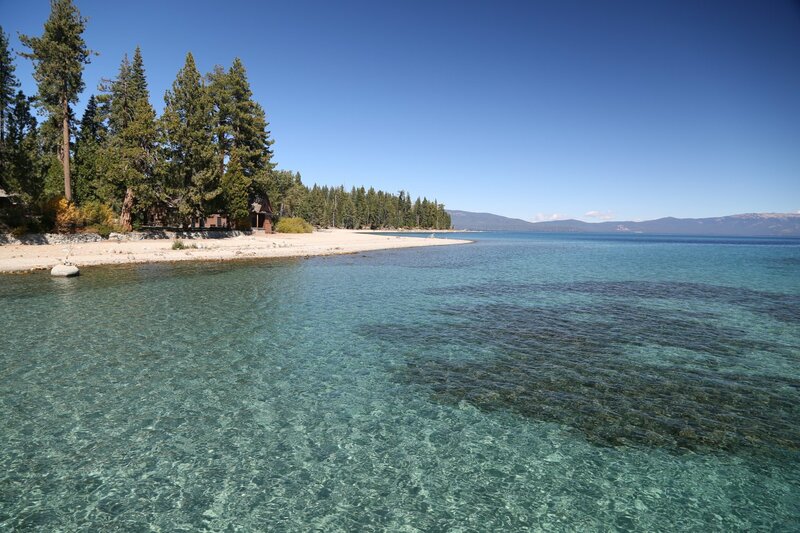 From this parking lot there is a dirt road down to a mansion that is built close to the waters edge of Emerald Bay. 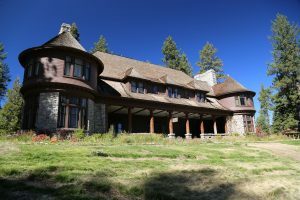 The mansion called the Vikingsholm was built in 1929 and is a replication of a Scandinavian castle. 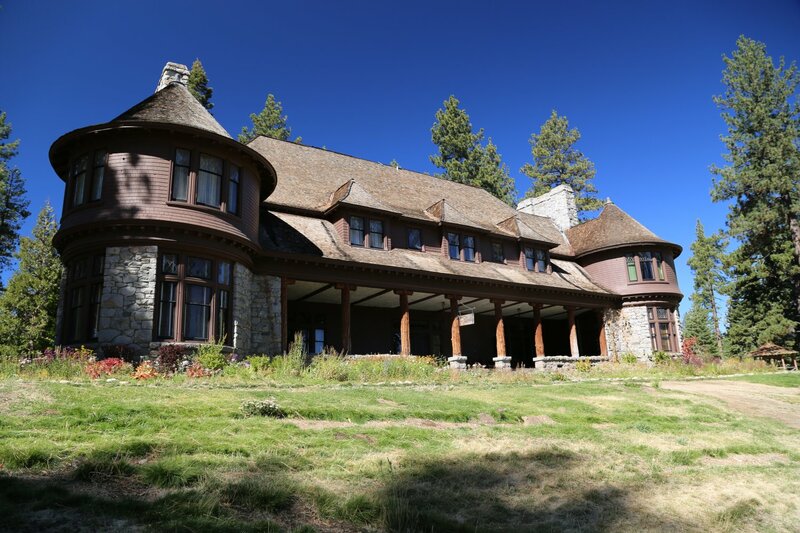 Many people hike to this mansion although the dirt road (about a mile 1 way) is very steep. The parking lot on the other side of the road is a bit smaller and finding parking here can be a bit of a challenge. People do park out on the road although during busy days in the summer these spots can be taken. 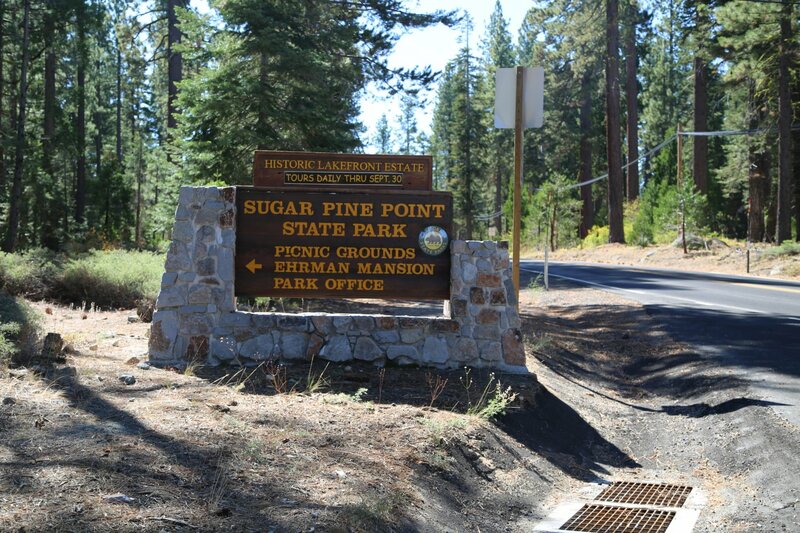 From this parking lot there is a good trail heading west into the Sierras. This trail can be quite lengthy if you want it to be. 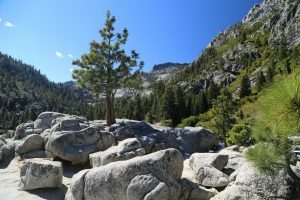 We usually just hike a short distance on this trail (one half mile) to Eagle Falls. Along the trail you see vistas with great views of the rugged Sierra mountains. For more information call Phone (916) 525-7277. 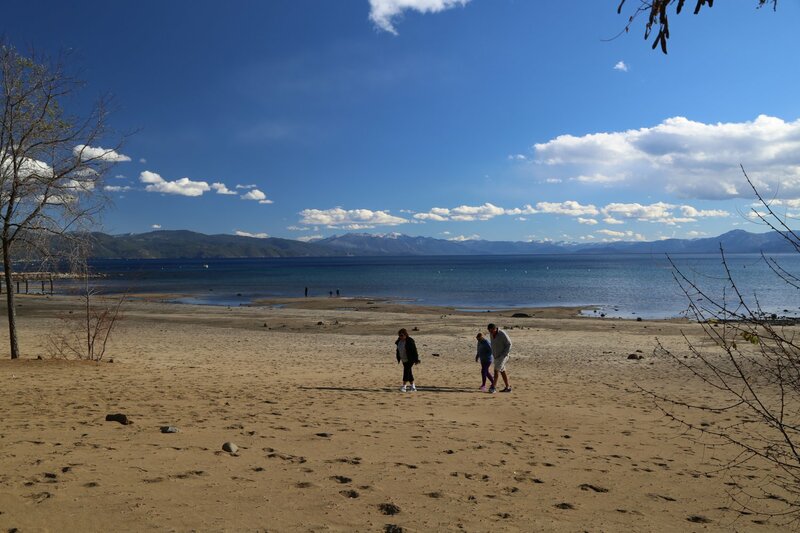 Kings Beach State Recreation Area consists of 7 acres and has a large gently sloping beach. 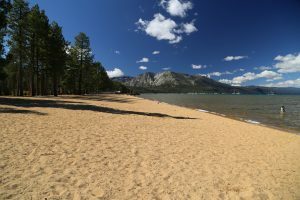 The beach is popular for volleyball, sunbathing, and swimming. 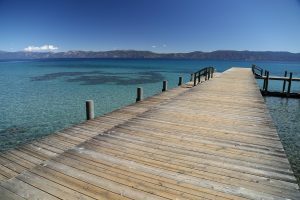 Jet skis, paddleboats, and rowboats are available for rent. A boat ramp is also available. Kings Beach Rec. 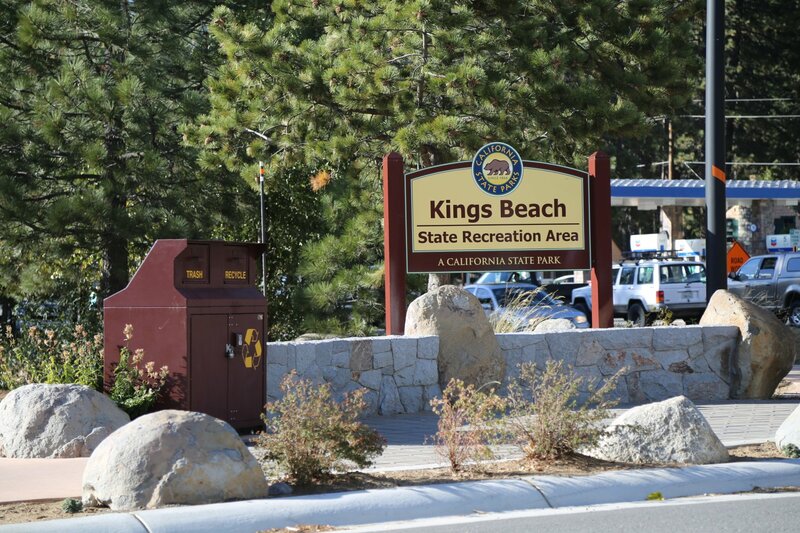 Area is located on North Lake Blvd in Kings Beach. For more information call Phone (916) 546-7248. Lake Tahoe Nevada State Park is one of the premier biking spots in the country. The park consists of 14,262 acres, three miles of shoreline, scenic lakes, and beaches. Brochures are available at the visitor center. 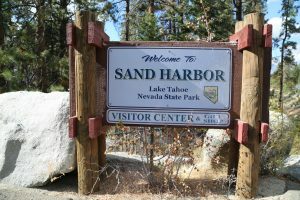 Boat launching facilities are available at Sand Harbor and Cave Rock. 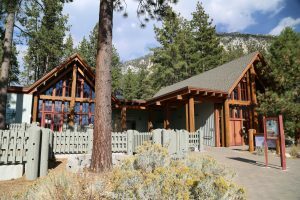 The visitors center is located four miles south of Incline Village on Highway 28, three miles south of Lakeshore Drive. For more information call Phone (916) 831-0494. 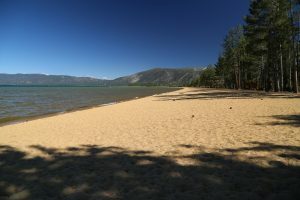 Pope Beach is located near South Shore on the edges of Lake Tahoe. This orangish white sand beach is about 3/4 of a mile long. The parking lot mirrors the beach – there are plenty of parking spots. 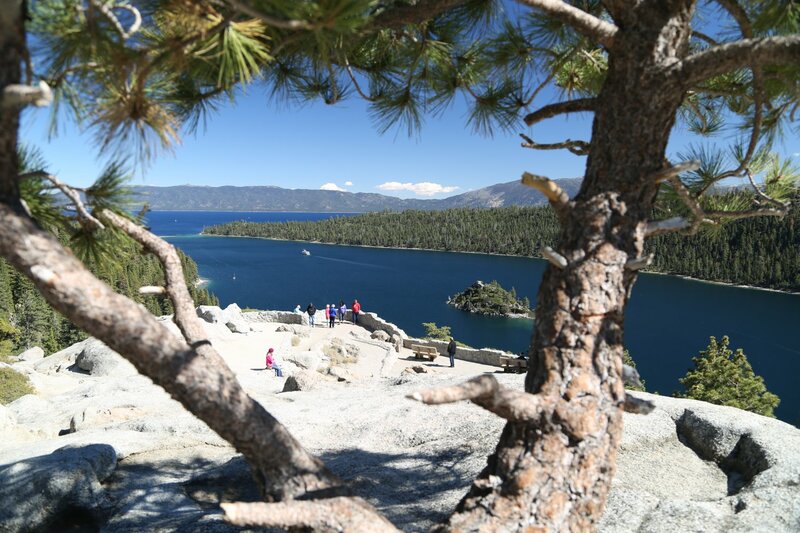 Admission/parking is charged – more then double on the 4th of July. 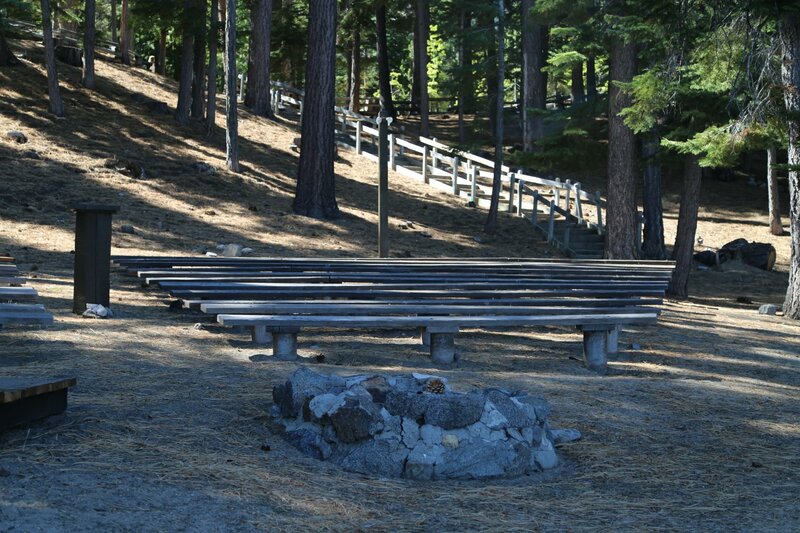 Nice place to relax – food is available from a concession stand. 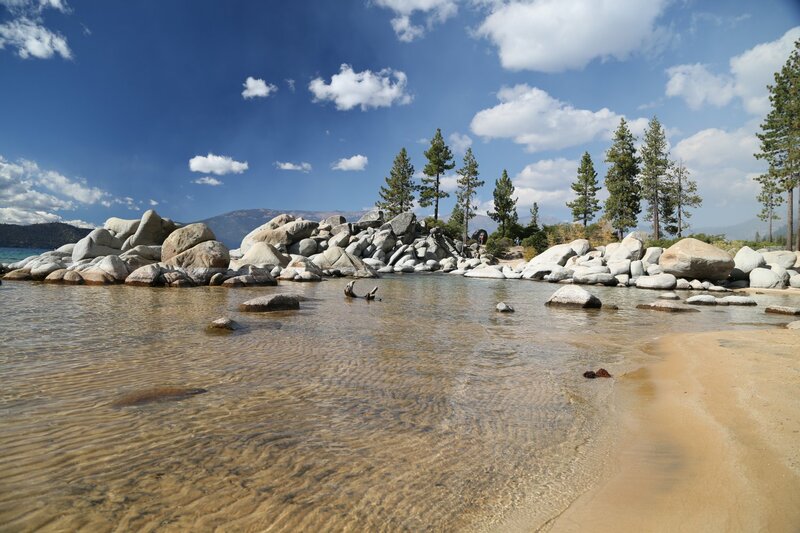 Sand Harbor is a gorgeous beach located in Nevada near Incline Village. Admission is charged – ‘out of state’ vehicles are charged a higher price (unlike the paid entrance beaches in California where all visitors pay the same amount regardless of what state you happen to live in). 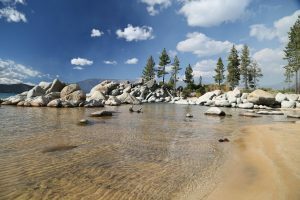 There is a main semi circular beach and a smaller, arguably more picturesque beach framed by a number of visually appealing rocks. Sand Harbor is also home to the Lake Tahoe Shakespeare Festival held every July and August. 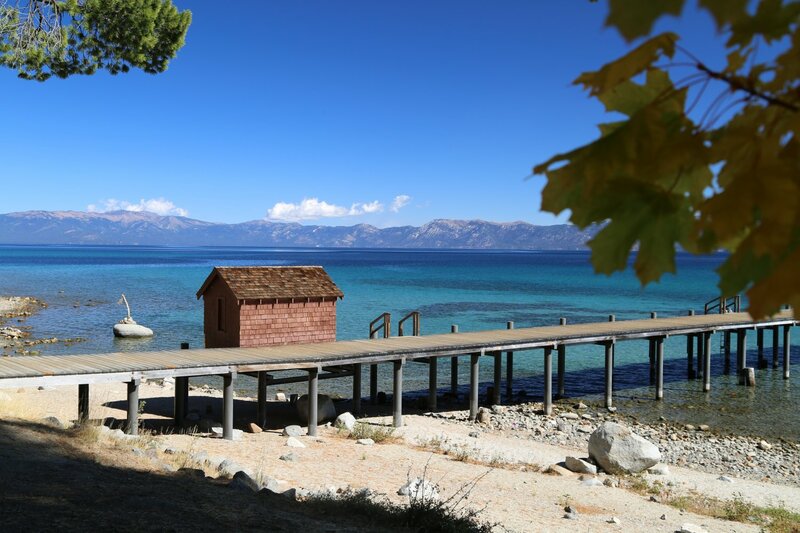 We have attended one of the performances – this is certainly an idyllic location for this! 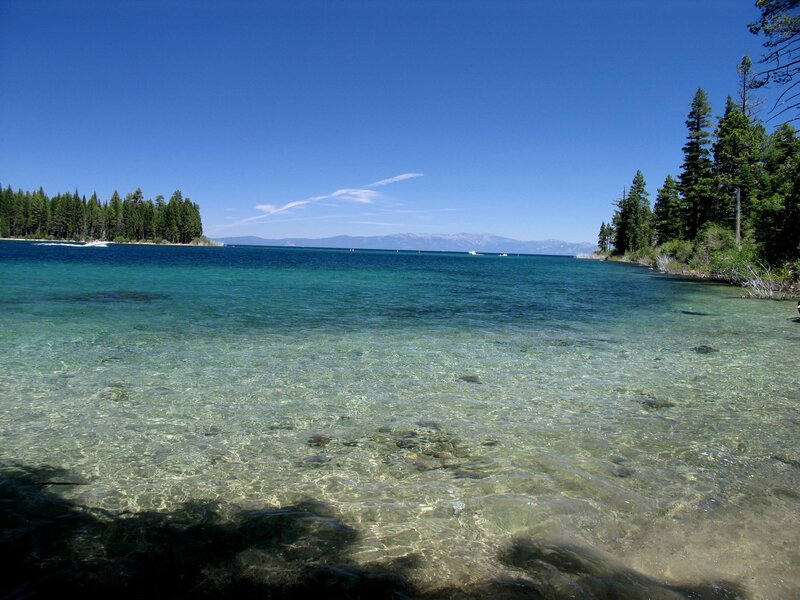 Tahoe State Recreation Area is a 13 acre waterfront park. 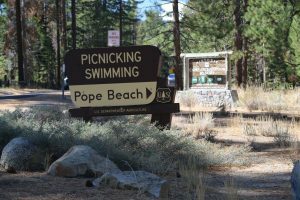 The campground has 39 sites. 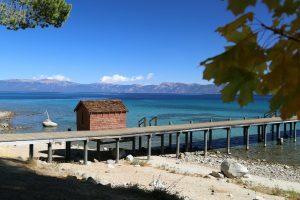 The recreation area is open from May through September. 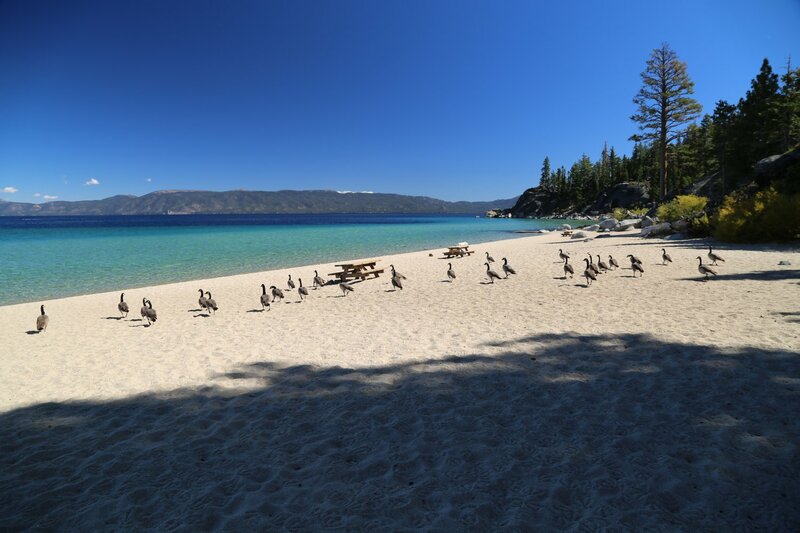 The entrance to this recreation area is on Highway 28, just one mile north of Tahoe City. For more information call Phone (916) 583-3074. 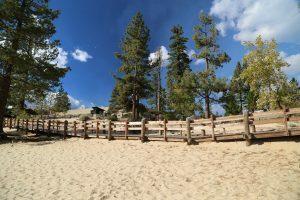 Truckee River State Park is located on the banks of the Truckee River. There are two tennis courts, two volleyball courts, two playgrounds, an amphitheater, rodeo grounds, and a picnic area with barbecues. This park is located in Truckee on Broadway Road off of Highway 267. For more information call Phone (916) 582-7720.